Alaska Air Cargo uses the cargo containers known as igloos because of their dome-like shape, to transport food and other necessities of life, to far flung communities in the state of Alaska as well as bringing Alaska-produced goods such as Copper River salmon to the lower 48. 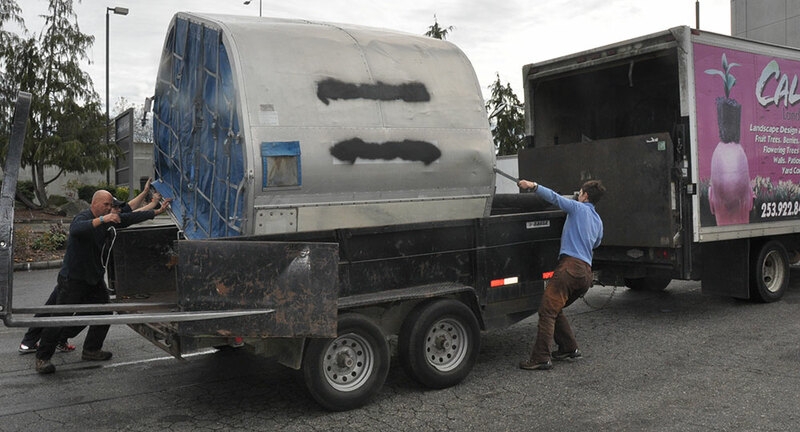 They are designed to be packed to the gills with supplies, and then slide on rollers to fit perfectly in the cargo freighters, making the most efficient use of space. 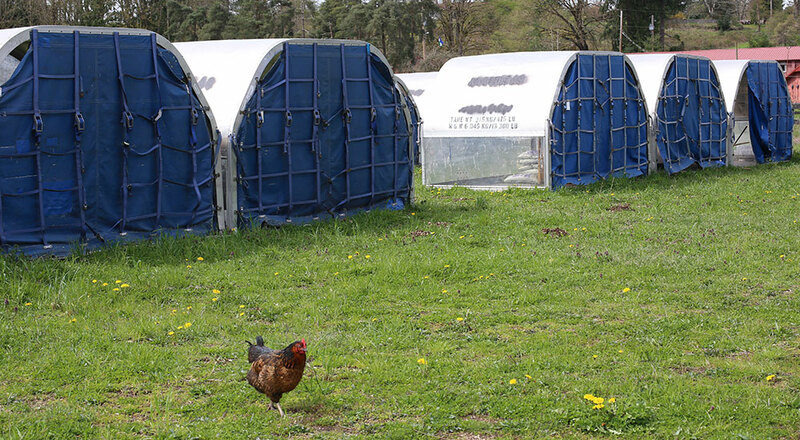 Now some retired containers are being used by Puget Sound area farmers as goat-milking spaces, chicken coops, pig pens, storage for garden tools, firewood and more. The igloos were saved from the landfill thanks to employees’ creative thinking and a determination to reduce Alaska’s waste stream. Last fall, Air Cargo was looking for homes for 150 used igloos as the airline planned to replace them with lighter, more advanced versions. Two local nonprofits that serve farmers – Seattle Tilth and Pierce Conservation District – both responded enthusiastically to a call put out by Alaska’s environmental affairs team. When the conservation district put the offer for the igloos on their Facebook page they were overwhelmed by the response, said Chrissy Cooley, agriculture community of interest coordinator. The post received four times more views than anything they had posted last year, she said. Some 164 farmers wanted at least one. Now that spring has arrived, and a wet one at that, the 440-cubic-foot containers are in heavy use. Seattle Tilth, which has an organic working farm and community gardens in Auburn where 36 people tend a plot or keep their animals, is using most of them as storage sheds for gardening tools and feed, with a couple set aside for a chicken coop and a milking station. “This has been a great partnership to bring new life to the containers in a way we would have never expected,” said Shelly Parker, director of cargo operations. 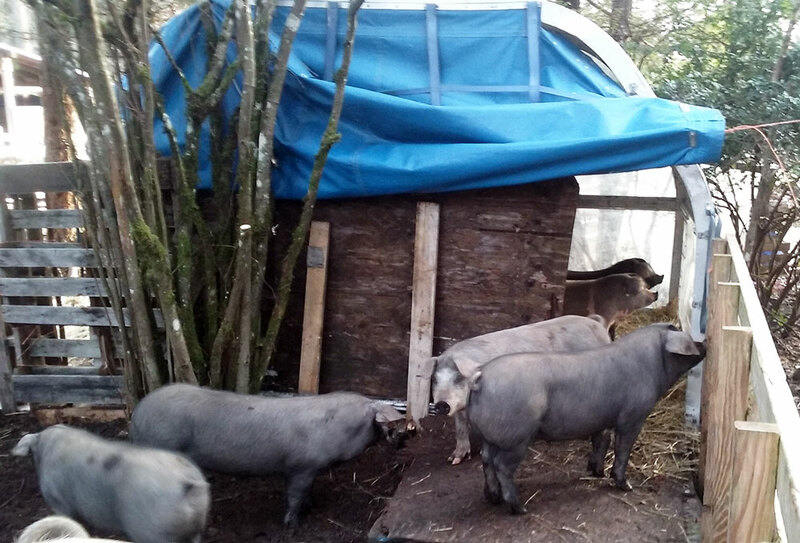 Leona Lisa, a farmer in Gig Harbor, uses her igloo as a pig shelter. 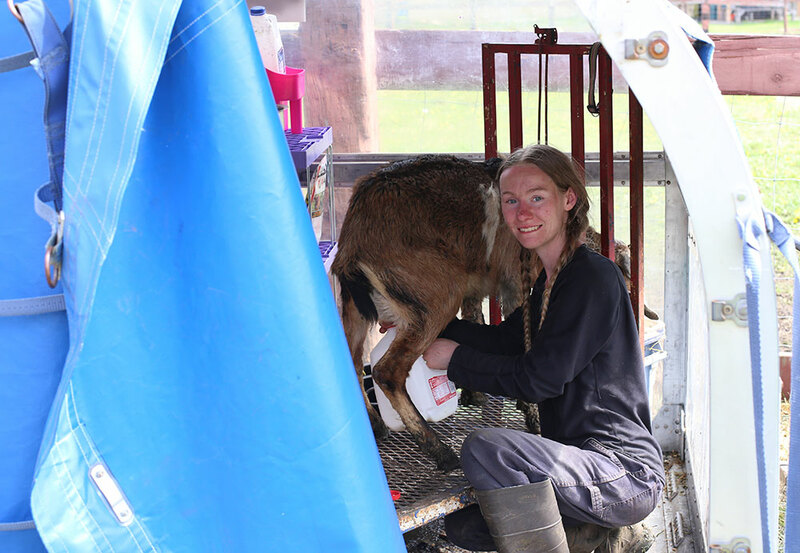 Natasha, a farmer who was milking sheep and a goat this week in one of the containers, said she really appreciates being out of the rain as she milks her animals and having a dry place to store her supplies. One of the Pierce County farmers who claimed an igloo was Scott Gruber, who runs Calendula Farm and Landscaping Services near Puyallup, along with his wife Alina. Gruber is using his igloo to house his organically fed, free-range chickens and ducks. He sells his poultry and rabbits to high end restaurants in Tacoma and at the Proctor Farmers Market. “These are just so perfectly suited for what we do. We are usually nailing together plywood and plastic for shelter. It’s so cool to get something real that is waterproof,” he said. The igloos are made out of Lexan, a translucent polycarbonate material on the sides and aluminum on the top and bottom. They came with one side open covered by a blue coated tarp. You can bet that if more igloos become available, people will be lined up to take them. And that’s good for goats and the environment. 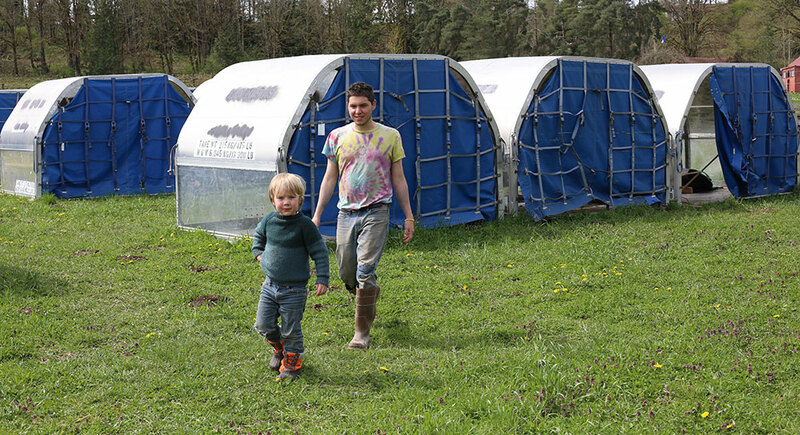 2 comments on "Cargo ‘igloos’ have new life as livestock houses, garden storage"
We are a non-profit that preserves farmland and supports farmers by proving long term leases of farmland at reasonable rates.